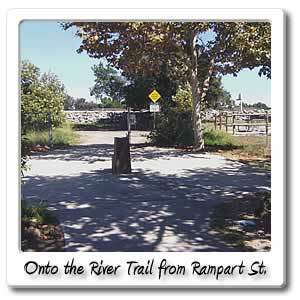 Welcome to Rampart Street on the Santa Ana River bicycle trail. 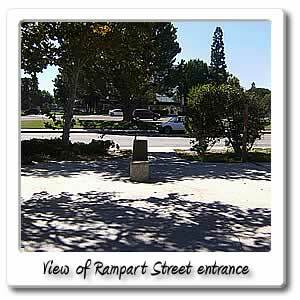 About a half mile from the Chapman Avenue entry/exit point you'll find a small turn off that has a few benches and water fountain. 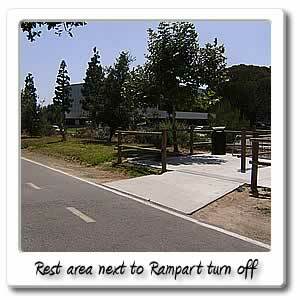 You'll see a side street with the name of Rampart Street, here you can park and then access the Santa Ana River Trail. About another 1/4 mile, which is Orangewood Avenue. 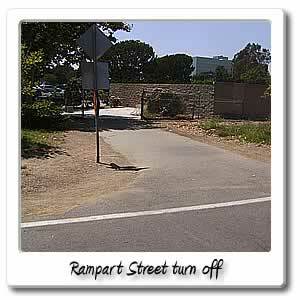 You can also take Rampart Street, north and south and get to Chapman Avenue, or Orangewood Avenue. 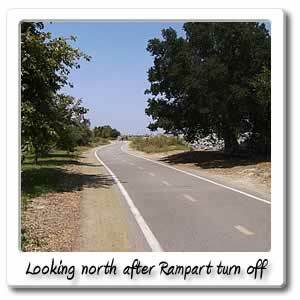 On the corner of Rampart Street and Orangewood Avenue across the street from "Angel Stadium of Anaheim" at 2400 E. Orangewood Avenue, in the City of Anaheim is the Fire Training Center, for the Anaheim, Orange, and Garden Grove fire departments to train at. 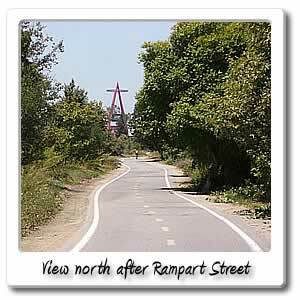 It was built in 1978, then in the late 1990's a 600 foot long tunnel, with very little room to pass by was built. The purpose of this underground tunnel is that it's to simulate a mine or building collaspe. With the East side of the facility being right on the edge of the Santa Ana River Trail, you can always see the five or six story concrete building, with what looks like windows, but a closer look, and you see burn marks from a fire, they started inside to train. Only on the East side has two flags on top and "in memory" on a piece of concrete going all the way across the top. A flag painted onto the building is long ways across two of the floors. Just below, on the top strip of concrete that goes across the top of the third floor says "9-11-01"
When the doors and windows are all open, you can sometimes see firefighters in there building rooms and walls with 2 X 4 s and other wood.